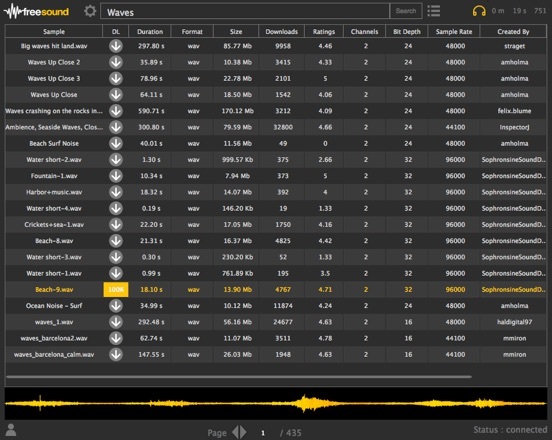 Le Sound, an audio plugin manufacturer based in France, has released AudioTexture Free, a free version of their AudioTexture plugin that allows to generate infinite sounds, variations or loops based on Freesound content. AudioTexture Free includes an integrated browser to search in Freesound and download sounds that then can be loaded and transformed in the plugin. This allows a fast integration of Freesound content inside DAWs or other media production tools. AudioTexture Free is one of the outcomes of the MTG coordinated AudioCommons H2020 project of which Le Sound are partners.